The official Summer Sailstice burgee, created by North Sails, is ready to fly. 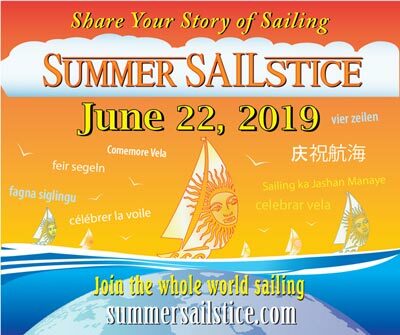 Haul it up the flag halyard and fly your burgee high on Summer Sailstice! NOTE: Screen printed on ONE SIDE ONLY.